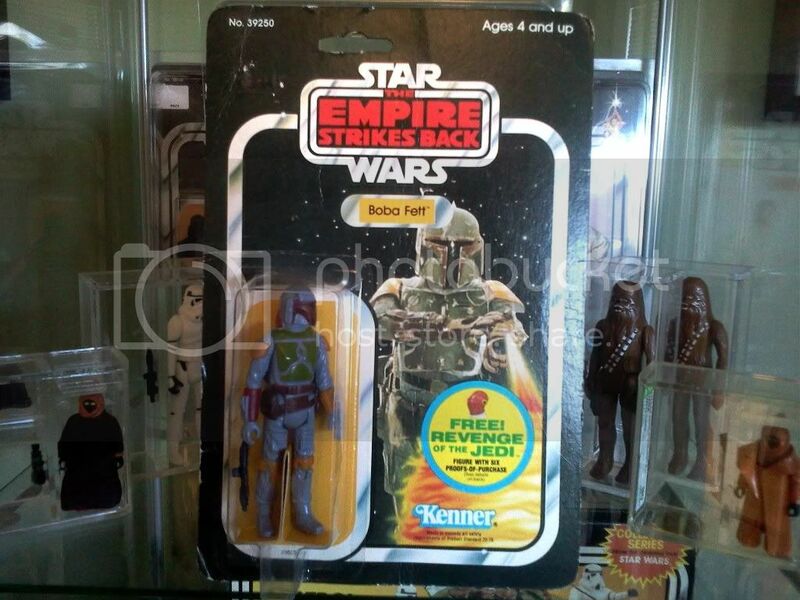 Home » Catalog » Star Wars Toys » Carded Figures » » Star Wars ESB Boba Fett 48 Back-C "Revenge of the Jedi"
I am offering a rare mint on card Boba Fett from the original Star Wars - Empire Strikes Back line of vintage Kenner toys. 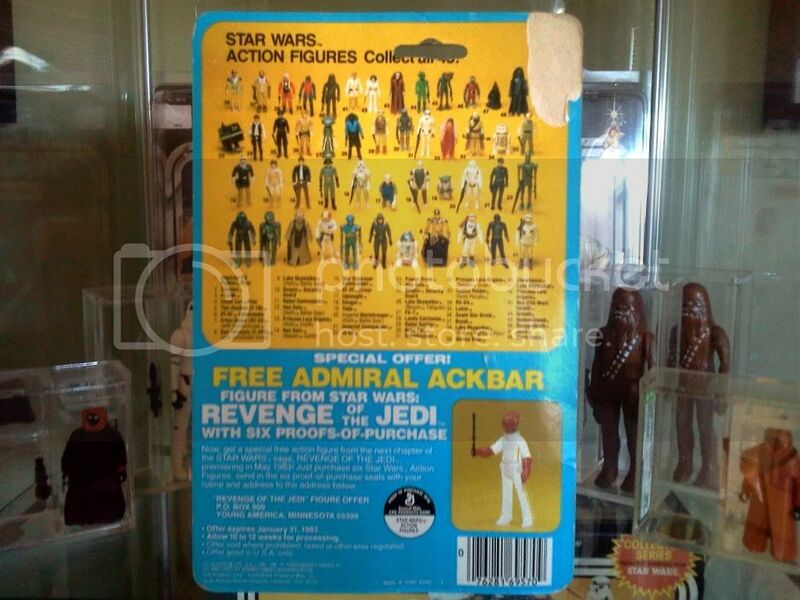 This is the 48 Back-C variation with the "Revenge of the Jedi" Ackbar figure offer. What makes this card rare is that it was released advertising the upcoming Lucas film, which would later be changed from "Revenge" to "Return." Merchandise bearing the "Revenge of the Jedi" movie title creates a frenzy among Star Wars memorabilia collectors and fans. Added to this is the fact that Boba Fett is the most popular and highest in demand action figure of Star Wars toy collectors. The card shows wear in the form of creases on the front of the card. The back of the card has the top right corner of card graphics peeled off, revealing the cardboard (see pictures below). The blister/bubble has dings on it (worst of which is located at the top left of the blister), and light creasing, but no cracks that I can see and the blister is firmly attached to the card. The figure inside appears to be mint, the gun is taped firmly on the blister and the tab has been punched. There is some sign of sticker removal (just below the No. 39250 on the front of the card), but it isn't anything super-distracting. Overall, this would make a great display piece as the colours on it are still quite vibrant. Notify me of updates to Star Wars ESB Boba Fett 48 Back-C "Revenge of the Jedi"